He's from Philadelphia, she's from New York. They met in Idaho (uh, what..?) but flew back to their roots to be married! 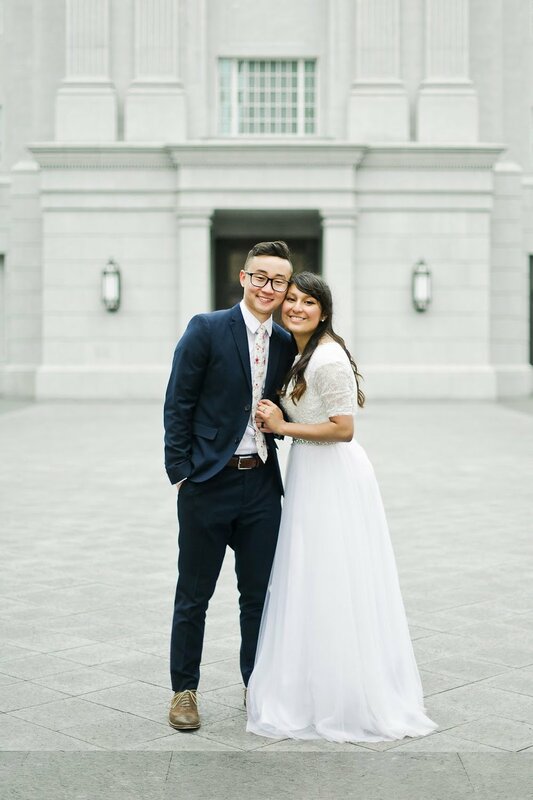 They chose to be married for all time and eternity in an LDS temple. The crazy thing is that if they had met a year earlier, this particular temple in Philadelphia would not have existed yet! 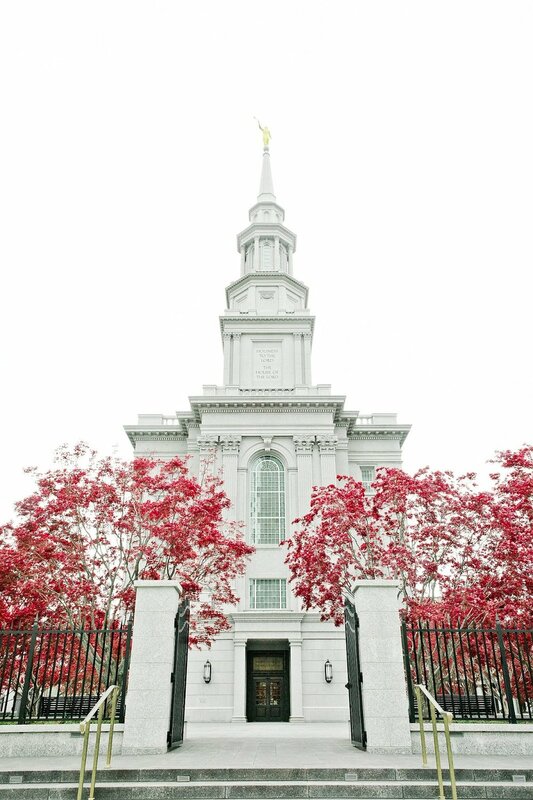 While the LDS Manhattan Temple and LDS Washington DC Temple aren't too far away, it was extra special that this new one was built just in time to marry in Randy's home city. 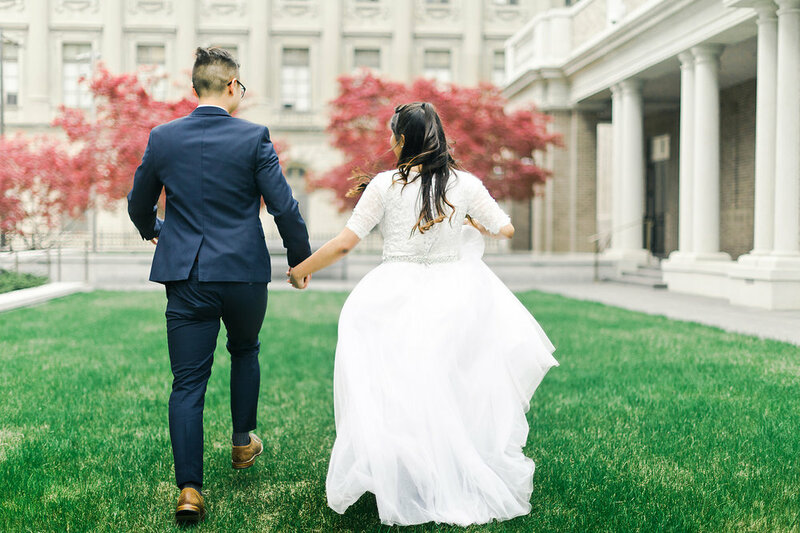 I'm not positive, but I think this may be the first LDS Philadelphia wedding photography post that exists! That's how new it is! On another photography note - Randy and Sophia have been AMAZING troopers when it comes to taking pictures with me. They worked in frigid conditions for their engagement pictures on the Salt Flats in Utah (view HERE) and we did some Korean hanbok pictures right as a mega-storm rolled in (view HERE). 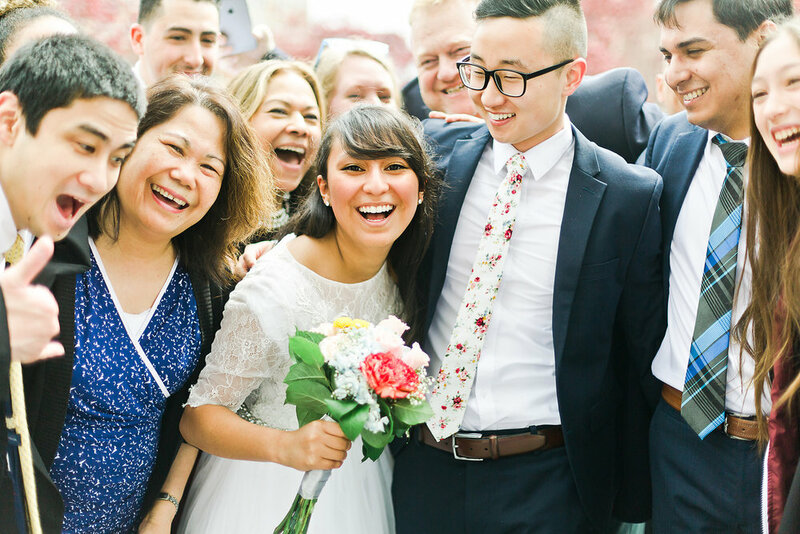 By the time the wedding day rolled around, they were perfectly content in the chilly, cloudy weather of Philadelphia. 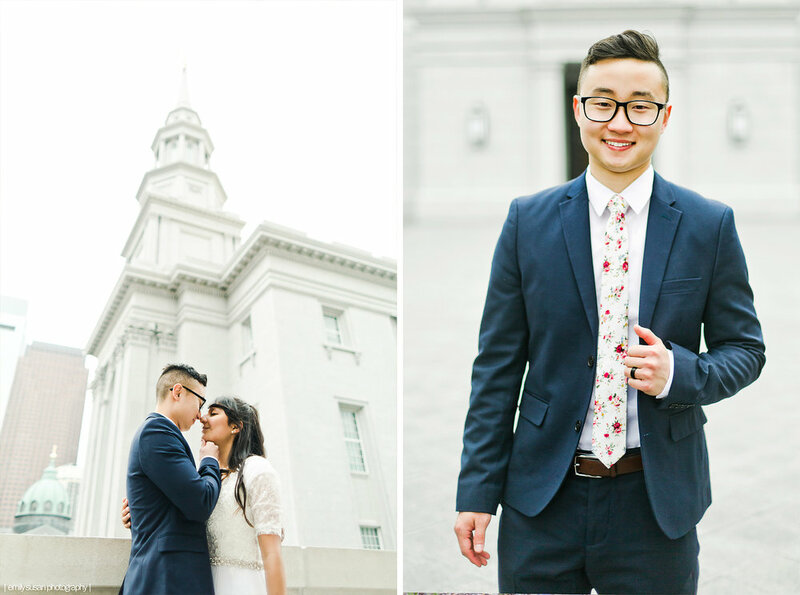 That's one of my favorite things about wedding days - when a couple is really happy, no bad weather can stop them!